The Power and the Glory is a difficult novel. It’s easy to read. Greene writes florid, powerful prose that pulled me into memorable situations. His characters are complex and multi-dimensional (meaning they often have multiple opposing beliefs and values). This is about people caught in difficult, desperate situations. People who have made mistakes, and pay for them. People who are people. They’re not trying to be evil. This is most clearly illustrated by its main character, an apostate priest (he fathered a child) trying to escape Tabasco, Mexico during a time of great religious persecution. If he’s caught, the authorities will shoot him. He struggles through a landscape of abject poverty, of parents starving themselves so their children can survive. He is a failed priest just trying to escape, yet many people protect him…because he is a priest. Because he can do the Mass. He barely believes in the Mass any more, but he does it because the people clamor for it. This appears like a simple bit of irony. It would be easy to dismiss the peoples’ reaction as superstition. No; the people find meaning in the sacraments. This religion is important. It’s more than empty words if people will die for it, and people do. The whole novel is like this. Nothing is simple. Humans are complex. Some people are driven by obvious motivations, and react predictably…but they have other motivations, too. These themes infuse a breathless, grinding journey through a beautiful, galling country of injustice and misery. There’s very little happiness here. There is a great deal of depth. 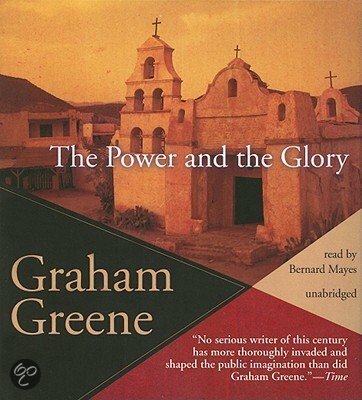 Greene left me exhausted, as though I had lived another life while reading The Power and the Glory. What better tribute?